This evening Cooter and I headed up to Macon to join Aub for a special performance at Wesleyan. It was something I really wanted to see, and Cooter really wanted to see his sister. Our Princess had swim practice, so she and the Fella were off in that direction. As we rode up there, I listened to the radio while Cooter read his new historical “Choose Your Own Adventure” books. I was just listening and thinking, you know, so not really listening, until this song came on. How appropriate that this song stirred up so many memories for me. How many children did my Daddy put to sleep, sitting there with him in the old burnt orange (that used to be a thing okay) recliner, while watching Cats? Cooter was one of them. I asked him if he remembered the song, almost willing him to. He didn’t, and now I laugh as I realize why. The song is not in the first third of the musical, I don’t think, so of course he doesn’t remember it. He was never awake for it. 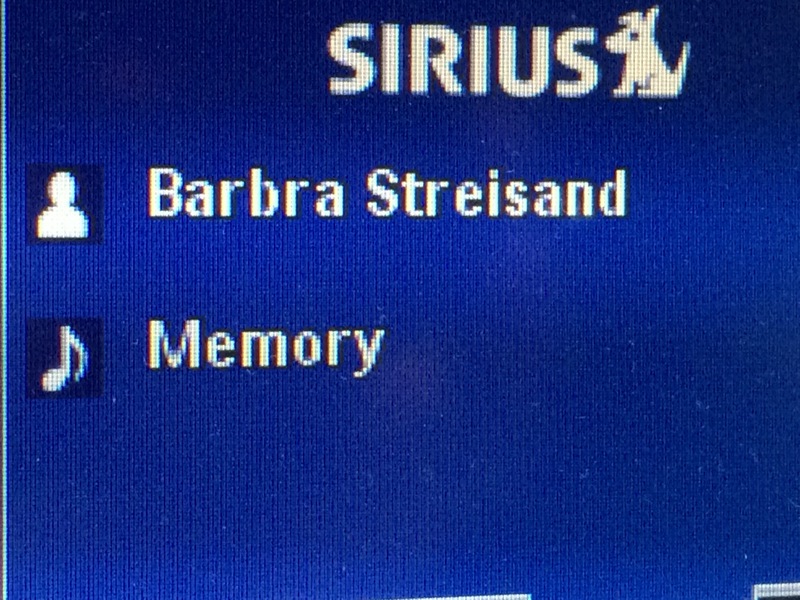 That Barbra Streisand sang this version was also interesting. I remember being quite young and hearing admiration and respect in Mama and Daddy’s tones as they mentioned that Ms. Streisand refused to get plastic surgery. I found that all intriguing, as it was the first I learned that people had the option of not accepting their looks and changing them. I also learned at that early age that being yourself was the best way to be. Never mind that they thought she was extremely talented, and then there was the fact that she had been in a movie with Robert Redford. Which was really cool, because Robert Redford. Despite the fact that I grew up with folks who respected and admired Barbra Streisand’s gift, I was thinking as I listened that there was something missing. It just wasn’t–perfect. Well, in a manner of speaking anyway. Elaine Page and Veerle Casteleyn, the actresses who played Grizabella and Jemima in the recorded version, were also talented. But I think their performance was amazing–flawless even. More so than the very talented Barbra Streisand? Because not only were they singing, they were also acting while they were singing. It took even more energy and effort to perform this powerful song than merely singing it on stage or in a recording studio. They had their hearts wrapped around that song and its meaning, and vice versa. Daddy always was too. On more than one occasion, he commented on how young the actress who played Jemima was. While he liked both actresses, he was almost awestruck by the younger one. Tonight I’m thankful for the memory of Memory. And Cats. And of my Daddy. And that old recliner. I still have a button from it tucked away. To remind me of the color as the memories begin to fade, just as the chair had begun to do. I am grateful that they appreciated good music and good people. And that they saw hope and promise in those around them and were always encouraging. Most of all I’m thankful for the tears that still come when I hear this song. From missing the ones I love and from remembering those sweet, sleepy babies curled up at their Cap’s side, as he watched and listened to the rest of the movie, saving up his own memories as they dreamed. May this be a day of joy-filled memory making. The littles had their last dance and gymnastics classes on Tuesday evening. I will miss the little community we have built the past ten months among ourselves–us dance parents. I will miss catching up on the week and visiting and just being with these good people whom I’ve grown to love as friends. Some I will likely see in August, but some I will not. More goodbyes. Despite the practice, I’m not real good at those. Thursday evening both of my littles were a part of their gymnastics program. That afternoon we ran errands and then went over to Mama’s to eat a snack supper before it was time to go. I picked up some food, and we sat down at her table to eat. As we held hands, bowed our heads, and said the blessing around the table, just as we’ve done so many times with her, I had the oddest and most precious sense of her presence. Like I haven’t felt before. With tears in my eyes, I said Amen, and felt a peace set in as well. She always liked the idea of and sought that–a peace that passes all understanding. The gymnastics performance was delightful. Such talented young people. It was awesome to see my little guy’s eyes focused on the tween-aged boys who were phenomenal in their routine. Our princess was excited–as she is about so many things in her world. It was her first gymnastics performance. She loved her leotard, loved being there, loved the routine. It was a good night, but I missed Mama. A year ago she was with us there. We didn’t get to have supper with her that night because there was a bad storm coming up. The clouds and rain of this past Thursday night reminded me of the weather a year ago. Mama had enjoyed watching the children, especially our little guy. Last night was dress rehearsal for our Princess’ recital. She was in her element–dressup, dance, being with friends–all things she loves. And she loves her teacher. So do I. She is a dear, sweet, gracious lady who loves and dotes on each of her students. She has especially been a blessing in the rocky journey we’ve been on the past few months. Her love and patience, her laughter and gentle ways–they’ve helped so much. I had the privilege of helping with my girl’s class in the downstairs/backstage experience. I was thinking about it, and I actually prefer seeing her perform from backstage. I get to see her excited face just before she goes on, eyes huge in her face, her eager yet nervous smile, and her little hip hop step she takes as she goes on stage. Because she does that–little hip hop steps–when she is most excited. Dress rehearsal went smoothly. Today was the actual performance. I’ve thought about Mama a lot today. We picked her up last year, and she went with us. She, Aub, and our little guy sat together in the audience while I was backstage, and Mama was enchanted by all of the performances, but most especially by those of her little Princess. Mama loved all children and believed that every one of them should be loved and wanted. That’s what she did when she watched those performances last year. Loved every one of those children. And boy, on the way home, she smiled and laughed and said over and over how much she enjoyed going, talking about the different performances. It was the first time since Daddy had gotten really sick that I thought we might actually make it. Daddy had been gone just over six months by the time of the recital last year, but it felt like it had been no time. To see her smile and hear her laugh, I was filled with hope and…..well, Hope. So this afternoon, after our second time up the stairs for their last performance, as all of the children were gathered behind the closed curtains for the final curtain call, I thought about the past year, and how much I miss my Mama. I miss her when I’m sad and hurting, but I also miss sharing my joys with her. She would have been there today, no doubt. To think about the years of her not being at things that are yet to come was almost too much to bear, and then the tears started flowing. I guess I really should carry around my own bandana. I couldn’t stop them. Thank goodness for the darkness backstage. I write this tonight for my children. I want them to remember how much Maemae and Cap loved them, and how they loved being a part of their lives, of their stories. They were there for the events they could get to, and they wanted to hear about the ones they couldn’t. I want them to know that it’s okay to be sad and to cry when they are missing them. But it’s also okay to laugh and tell funny stories about Maemae and Cap and to talk to them when they want to. I believe they are listening. Tonight I give thanks for the time we did have. For the memory of Mama’s laughter and joy over little ones, especially her little ones, as she watched them do flips and tap their hearts out a year ago. She found hope in those days too, I think. I give thanks for the wonderful dance and gymnastics teachers and friends who have walked this journey with us as well, who have given an extra hug, sent a card, patted me on the shoulder, said a kind word, but mostly, who have loved on my babies. That right there. I love you all, and I cannot say thank you enough for that. I also give thanks that my children will never have to doubt how much they were loved by Maemae and Cap, because they told them often with their words, but even more often with their actions. 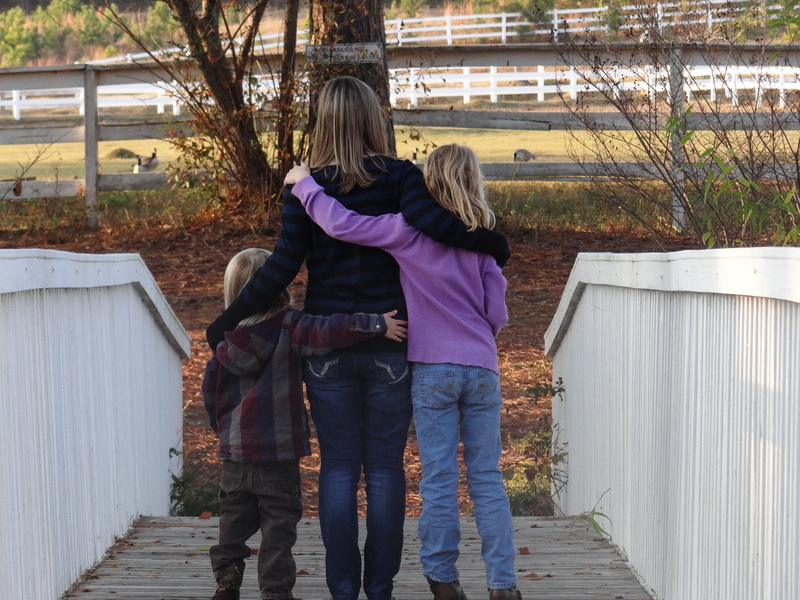 Mama said that a lot, “Actions speak louder than words.” And my three precious gifts, as you face your future, remember that, do what you can to let both your words and your actions show love and light in the world. Just as your grandparents did. You were and are loved and always will be.